Powers/Abilities: Tao is extremely intelligent - indeed, he was bred to be a tactical genius. He has no other innate powers, having to survive by using his fighting skills and his wits. History: Bred in the Optigen Inc. labs. 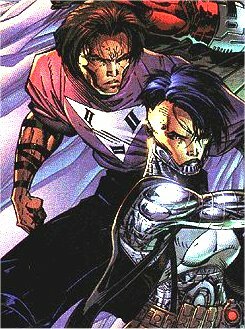 the Tactically Augmented Organism (Tao for short) was recruited by Savant for her replacement team of WildC.A.T.S. after the original team went missing, presumed dead. Though he has no real superhuman powers, his mental abilities made him the team's tactician and planner.